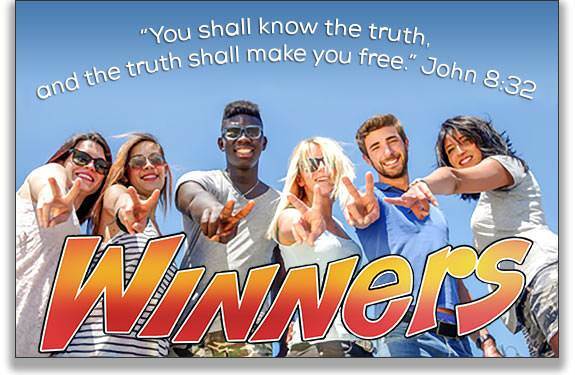 Christians are in on a great truth that the world knows nothing about. The truth is this: Jesus Christ has been rejected in this world, but He has been exalted to the highest place in Heaven! In His Word, God promised two things that would happen at the same time. The first promise was that His Son Jesus Christ would be glorified and exalted to sit at His right hand. The second promise was that when Jesus was glorified, the Holy Spirit would be poured out on His believers. On the Day of Pentecost both promises were fulfilled. The believers were of one accord in one place. Suddenly there came a sound from Heaven as of a rushing, mighty wind. It filled the house. 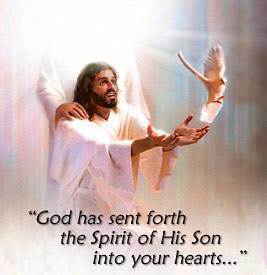 The Holy Spirit had come! 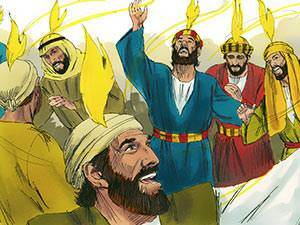 The believers were all filled with the Holy Spirit! “This Jesus has God raised up, of which we all are witnesses. Therefore being by the right hand of God exalted, and having received of the Father the promise of the Holy Spirit, He has poured forth this, which you now see and hear. Therefore let all the house of Israel know assuredly, that God has made that same Jesus, whom you have crucified, both Lord and Christ” (Acts 2:32-33,36). On the Day of Pentecost, the disciples knew two things. They knew that the Lord Jesus, whom they knew and loved, was now exalted to the very throne of God in Heaven. And they knew that Christ was now dwelling in them by His Spirit. In Old Testament times when Israel was on the way to the promised land, the people dwelled in tents. There were hundreds of tents in the camp of Israel, but there was one tent which was quite different from all the others. 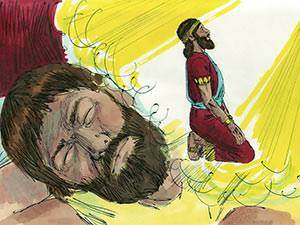 In the common tents, you could do as you pleased, but that special tent commanded reverence. When you stood before it, you bowed your head. No one could touch this tent carelessly. If a man or beast dared to touch it, the penalty was death! What was so special about this tent? It was the dwelling-place of the living God. 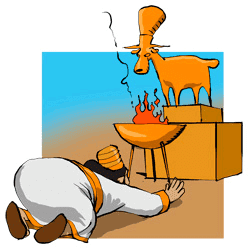 Outwardly, it looked very much like the other tents, but the great God had chosen to make it His dwelling-place. Do you realize what happened when you were saved? God came into your heart and made it His temple. In Solomon’s days, God dwelled in the magnificent temple which Solomon constructed. Today, He dwells in the hearts of His believers. When we really see and understand that God has made our heart His dwelling place, a deep reverence will come over our life. “Do you not know that you are the temple of God, and that the Spirit of God dwells in you?” (1 Corinthians 3:16). The great purpose of the Holy Spirit. “He shall glorify me: for He shall receive of Mine, and shall show it to you” (John 16:14). 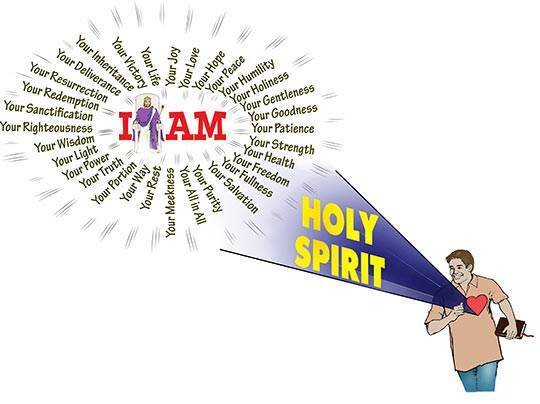 Do you know what the Holy Spirit wants to do in your life? He wants to glorify Christ in your life. Christ is “Lord of all” in Heaven, and the Holy Spirit longs to see Him “Lord of all” in your life. The Holy Spirit is God's love gift to His children. Believers are God’s love gift to His Son. God knew the kind of people He was giving to His Son. He knew our sinfulness, our weakness, our helplessness. “Because you are sons, God has sent forth the Spirit of His Son into your hearts…” (Galatians 4:6). The Holy Spirit connects us with Christ. “All things that the Father has are Mine: therefore I said, that He shall take of Mine, and shall show it unto you” (John 16:15). How do we receive the things we have in Christ? We receive them by the Holy Spirit. He is our life-connection with the glorified Christ. The Holy Spirit takes the things of Christ and makes them real in our life. 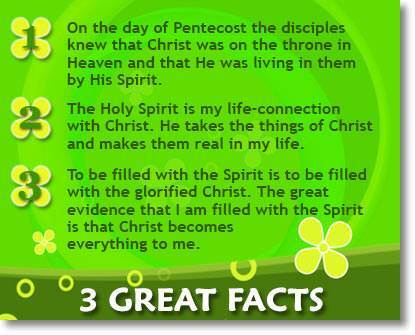 We not only have the indwelling Holy Spirit, but we have the great privilege of being filled with the Spirit. It is God’s will that every child of His be filled with the Spirit. When we are filled with the Spirit, we are completely satisfied with Jesus Christ. The Bible uses water as a type of the Holy Spirit. We must have water to live. “Whoever drinks of the water that I shall give him shall never thirst…” (John 4:14). To “drink” means to believe on Jesus. Notice that the Lord said, “Whoever drinks.” This is not just a one-time drink. It means to drink continually. If you drink continually, you will never thirst. If you believe on the glorified Christ continually, you will be satisfied. 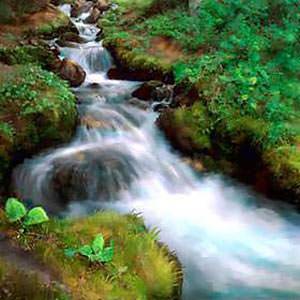 Jesus is saying to us, “If you are not completely satisfied, come to Me, believe on Me, and I will give you the living water of the Holy Spirit.” Jesus said, “…He who believes on Me, as the Scripture has said, from within him shall flow rivers of living water” (John 7:38). This means that we will be so completely satisfied with Jesus that there will be a great “overflow” to bless others. Let us consider the simple steps by which you can be filled with the Spirit. Are you thirsty for the satisfaction which only Christ can give? 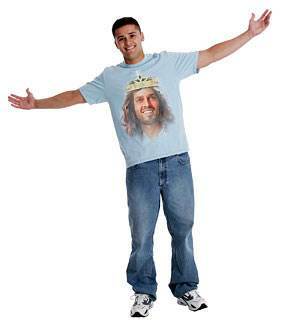 Do you long to be totally and completely satisfied with Christ? The Lord can only fill thirsty people. It is not more religion you need, but a personal relationship with the living Christ. 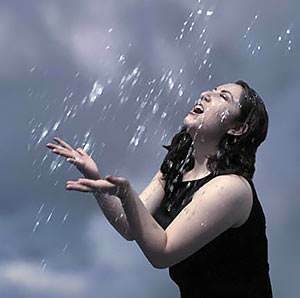 If you are “thirsting” for what is real and satisfying, come to Jesus now! To “drink” is to believe on the glorified Christ at the right hand of the Father. To believe on the risen, exalted Christ is the key to all God’s treasures. Do you long for a relationship with Christ that will satisfy you completely? Do you believe that Christ wants to fill you with His Spirit? Then thank Him that He wants what you want. Give yourself to Jesus Christ completely. Christ and the Holy Spirit dwell in the heart of every believer, but perhaps you have assigned Christ only one small corner of your heart. You are glad that He lives in you, but you do not want Him to interfere with your plans and your life. If this is so, who is on the throne of your heart? SELF is on the throne! 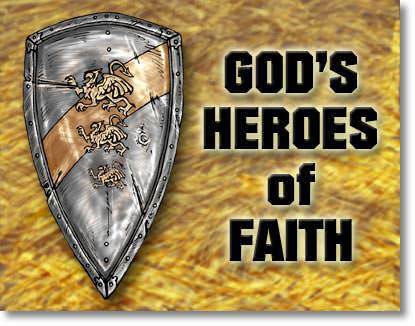 The Holy Spirit is grieved because Christ is not being honored in your life. You will never be filled with the Spirit as long as SELF is on the throne in your life. Right now, will you give yourself to Him completely, just as He has given Himself to you completely? Do not hold anything back. Give Jesus your heart, your life, and all that you are and have. He will take what you give Him and fill your life with Himself. “Rejoice in the Lord always; and again I say, Rejoice” (Philippians 4:4). “Whom having not seen, you love; in whom, though now you do not see Him, yet believing, you rejoice with joy unspeakable and full of glory” (1 Peter 1:8). The great evidence that you are filled with the Spirit is that Jesus Christ becomes everything to you. You see Him glorified and exalted in Heaven, with all God’s satisfaction and glory on Him. He becomes real to you. You think about Him constantly. You are fully satisfied with Christ. How can I stay filled? • Feed on God’s Word daily. It is impossible to remain filled with the Spirit if you neglect the Word of God, the food for your spirit. If you want your life to count for God, set aside time each day for prayer and the study of God’s Word. • Deal with sin instantly. 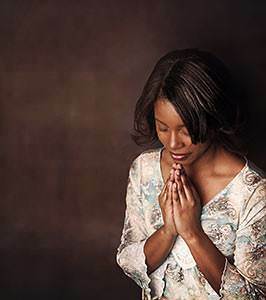 When the Holy Spirit shows you sin in your life, go to God at once and confess it. 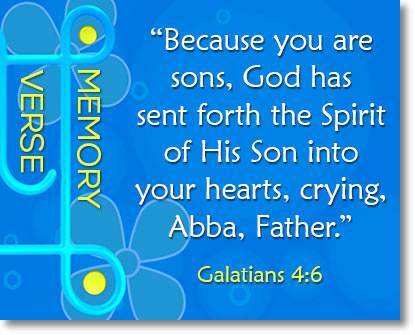 Unconfessed sin grieves the Holy Spirit and the Bible says, “Do not grieve the Holy Spirit…” (Ephesians 4:30). Grief causes pain in the heart of One who loves you. Grief makes the Holy Spirit unable to do His work. “He who believes on Me…out of his innermost being shall flow rivers of living water” (John 7:38). You received Christ by believing. You are filled by believing. You are kept by believing. 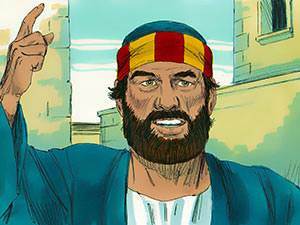 David reigned over Israel forty years, and he was Israel’s greatest king. His son, Solomon, became king when he was nineteen years old. God appeared to Solomon in a dream and told him he could have any one thing he asked for. If you could have any one thing you wanted—good looks, riches, popularity, fame—what would you choose? Solomon asked God to give him wisdom. “I have given you a wise and an understanding heart…I have also given you that which you have not asked, both riches, and honor: so that there shall not be any among the kings like unto you all your days” (1 Kings 3:12-13). 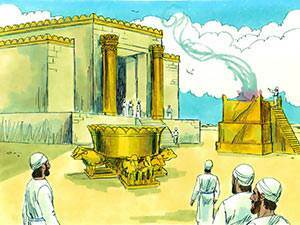 Solomon’s greatest accomplishment was the building of the temple. This was what his father David had longed to do. Solomon’s temple was built on Mount Moriah where Abraham had offered up Isaac. “I looked on all the works that my hands had done…and behold, all was vanity and grasping for the wind…Therefore I hated life…” (Ecclesiastes 2:11,17). “The Lord was angry with Solomon, because his heart was turned from the Lord God of Israel, who had appeared to him twice” (1 Kings 11:9). “his heart was not perfect with the Lord his God, as was the heart of David his father” (1 Kings 11:4). The lesson for us: God wants our heart!